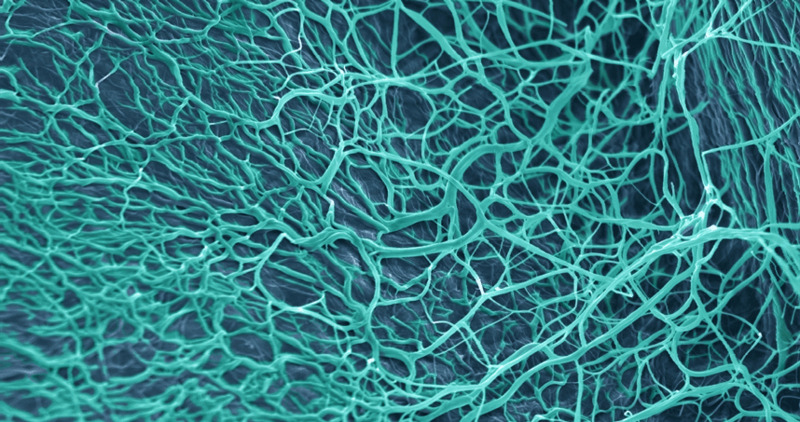 Researchers use an electron microscope to visualize the extremely small nanofibers used to regrow bone. 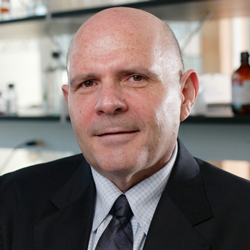 A research team led by Samuel Stupp, director of Northwestern’s Simpson Querrey Institute (SQI), has received a $3.1 million National Institutes of Health grant to explore a novel solution to bone regeneration and spine fusion. Bone is the second-most transplanted tissue in the United States, with between 1.6 and 2 million surgeries performed each year. More than 500,000 of these procedures involve spine fusions, which often use autograft bone — bone taken from the patient — and it may be unavailable for various reasons. So far, researchers have not discovered a universally safe and effective substitute for autograft bone. The Northwestern research team includes Feinberg School of Medicine faculty Erin Hsu and Wellington Hsu, both orthopaedic surgery and members of SQI, as well as Stuart Stock, cell and molecular biology. As part of the grant, University of Southern California cell and molecular biologist Malcolm Snead will collaborate with the team to explore cell signaling pathways triggered by the novel biomaterials to be developed. Transplantation of a patient's own bone is considered the gold standard for spine fusion, though its use is challenged by donor site issues or inadequate availability. While the Food and Drug Administration has approved recombinant bone morphogenetic protein-2 (rhBMP-2) as a growth factor and bone graft substitute, serious adverse effects associated with its use in the setting of spine fusion have caused concerns. The new research project, which spans Northwestern’s Chicago and Evanston campuses, seeks to develop and validate a nanofiber scaffold that can be used either on its own or for the delivery of bone marrow stromal cells (BMSC) to elicit successful spine fusion without the need for recombinant growth factors. If successful, the five-year study will result in a highly effective strategy to regenerate bone using recombinant growth factor-free bioactive nanoscale materials. Led by Stupp, researchers at SQI conduct some of the world’s most innovative, interdisciplinary research in applying chemistry, nanotechnology, and engineering to regenerative medicine. Part of Northwestern’s ecosystem of more than 50 University Research Institutes and Centers, SQI is one of many initiatives made possible by trustees Louis A. Simpson ’58 and Kimberly K. Querrey. Others include the institute’s Louis A. Simpson and Kimberly K. Querrey Center for Regenerative Nanomedicine, which provided the interdisciplinary team with the necessary seed funding that led to successful funding of the NIH proposal; the Louis Simpson and Kimberly Querrey Professorship in Materials Science and Engineering, Biomedical Engineering and Medicine; and the forthcoming Louis A. Simpson and Kimberly K. Querrey Biomedical Research Center.